Corona Heights Townhouse - CORONA HEIGHTS TOWNHOUSE APARTMENTS Two Bedroom 2.5 bath townhouse with parking, storage, deck. Dog friendly. 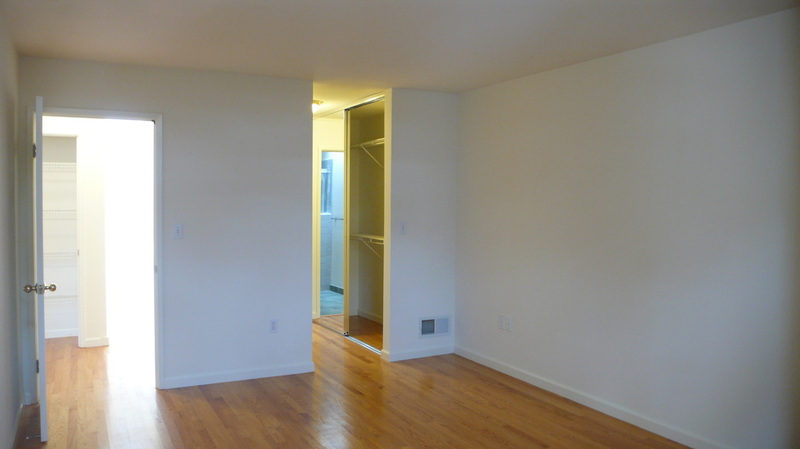 Two Bedroom 2.5 bath townhouse with parking, storage, deck. Dog friendly. Nestled between two giant trees on a quiet block, this two-level apartment was built to condo spec in 1996. Large trees front and back create a woodsy ambiance in the heart of The City. The top floor living room opens to a private deck with gas grill. In the shared back yard a landscaped garden frames a south facing (sunny) rear deck with bay views. On the first floor a short hall leads past the laundry area (front-loading washer and gas dryer) and linen closet to two master bedrooms, each with its own private bathroom. 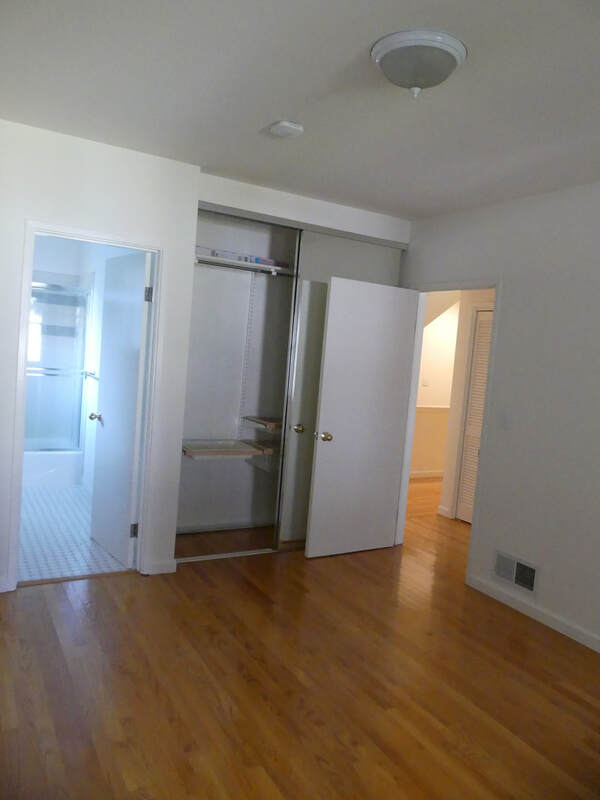 There is ample closet space, and each bathroom has a bathtub/shower. 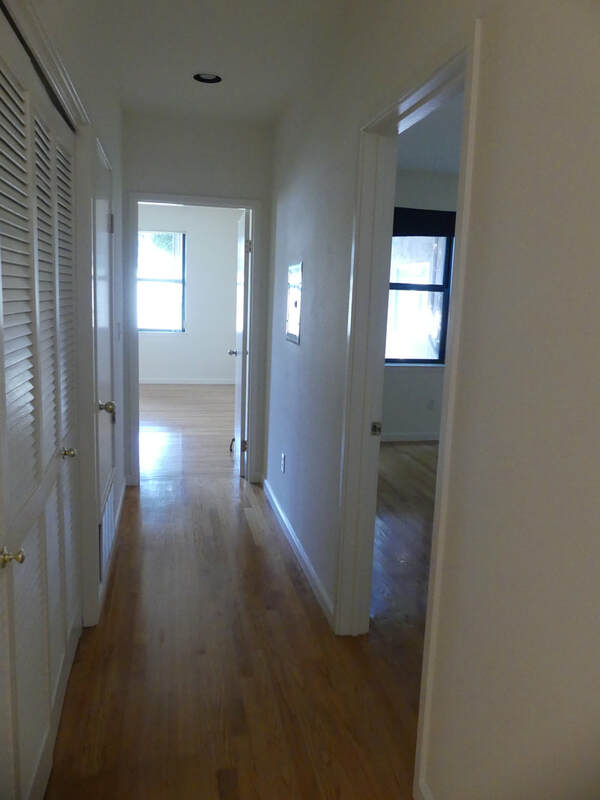 Hardwood floors throughout (tile kitchen and bathroom.) Granite countertops in the kitchen and bathrooms. 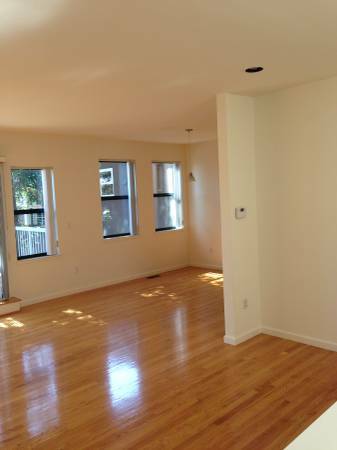 Gas stove with self-cleaning oven, dishwasher, lots of kitchen cabinets, disposal, large fridge with ice maker, etc. 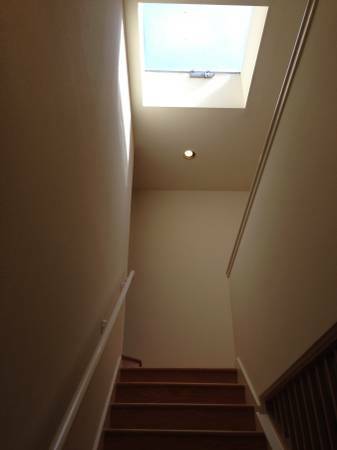 A large, opening skylight brightens the stairway. One garage parking space and easy street parking (area “S “.) Also, storage for bicycles, etc, in the garage and lots of storage shelves as well. 285 States St stairway to living room and private deck. Powder room to the left. Large closets and a full bath w/tub complete this master suite. Master Bedroom (East) looking toward en-suite bath. 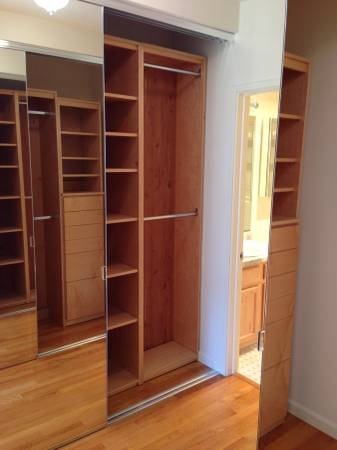 Closets on each side of short hall to east bedroom's ensuite bath.